Traditional Cuban Recipe Moros Y Cristianos - Ambassadors of World Food Tourism. We recently had an opportunity to travel to Cuba. Our people-to-people exchange gave us the chance to meet with Cubans and experience, among other things, their love of sharing a meal. 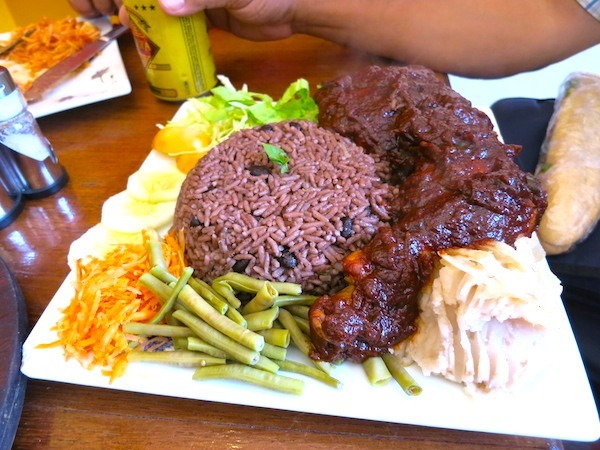 And through it all, one dish appeared over and over again, whether prepared at a restaurant, in a church kitchen or at home – Platillo Moros y Cristianos, a black beans and rice dish that carries with it a deep cultural history. The name “Moros y Cristianos” literally translates into “Moors and Christians.” In this dish, the black beans represent the Muslim Moors while the white rice represents the Spanish Christians. The dish commemorates the Reconquista, a long period of battle between the Islamic Moors and the Christian Spaniards and represents how the groups came to live together in the Iberian Peninsula. There are a variety of similar dishes with some distinctions. 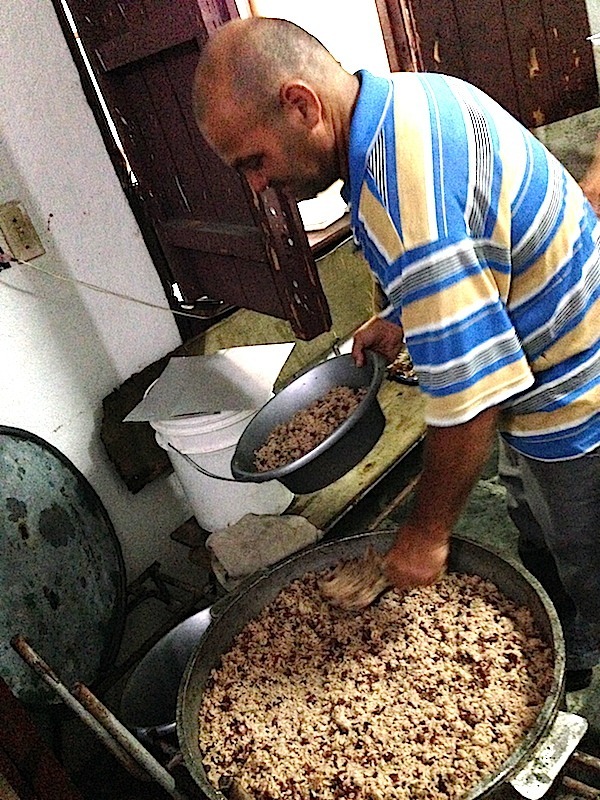 For example, “congri” is a similar rice and beans dish made more predominantly in the eastern part of Cuba, where the beans used are red rather than black. Some versions have the beans and rice cooked apart separately and mixed together only when served. 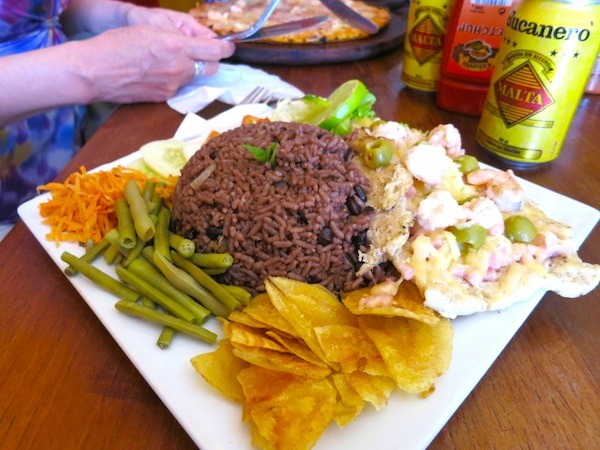 Either way, rice and beans are a constant in Cuban cuisine. 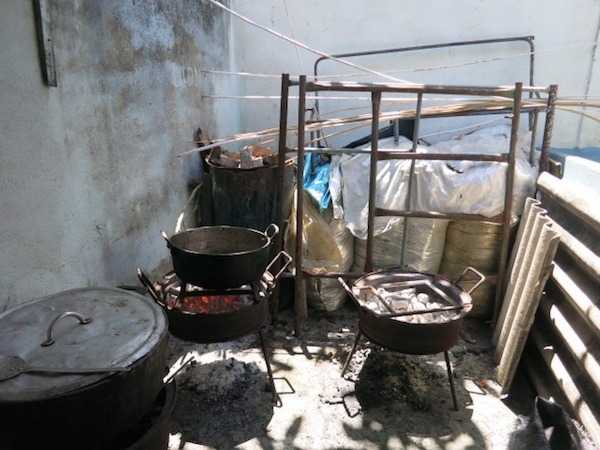 There are as many recipes for Moros y Cristianos as there are Cubans with kitchens. Here we offer a very simple traditional recipe of this dish, often simply called “Moro” by Cubans. The one ingredient that we learned is important not only to cooking this dish, but to life in Cuba in general, is patience. Don’t try to rush the cooking process. 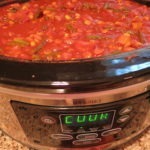 It will proceed well if you allow it ample time for the flavors to develop and blend together. If using dry beans, soak in cold water overnight. Drain and place in a stock pot with fresh water covering the beans. Bring to a boil then reduce and simmer, covered for 1 hour or until beans are tender but firm. Drain the beans by pouring the cooking water into a bowl. Save the water, you will use it later for the rice. Add the vegetable oil to the stock pot and sauté the garlic, pepper and onion for 2 to 3 minutes until they soften. Stir in the black beans and rice, and add the water you have saved from cooking the beans. Add an additional 2 cups of water. Bring the mixture to a boil, then reduce the heat to a simmer and cook until the rice is tender, approximately 20 minutes. Stir frequently and check to see if you need additional water to keep the rice from sticking. You can add more water 1/2 cup at a time while it finishes. Just don’t overdo it or your rice will get mushy. Once the rice is fully cooked, add the lime juice and salt and pepper to taste. The dish is best served hot. If you like, you can add some chopped bacon at the end. 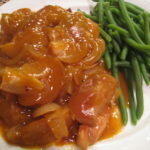 Or serve as a side dish with a hearty roasted meat like pork or chicken. 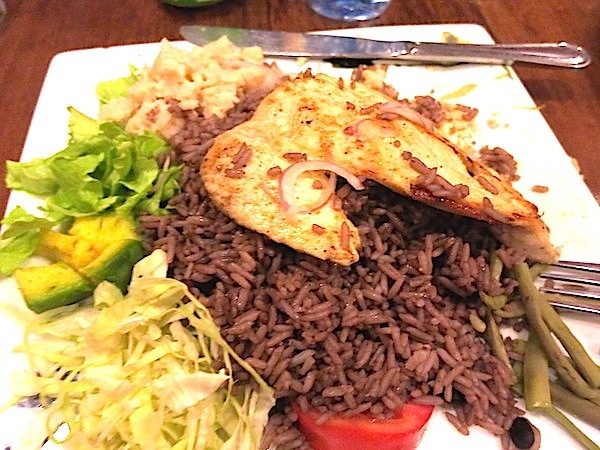 THE QUICK BITE: Platillo Moros y Cristianos is a traditional Cuban dish of black beans and rice that carries with it a deep cultural history. 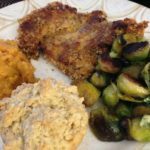 We offer a simple authentic recipe for you to try at home. Suereddel, absolutely loved this! Made a few tweaks, as I literally never follow a recipe 100%, but this was so yummy I will actually make it again! Thank you! So glad you enjoyed it! Every recipe serves as a guideline. 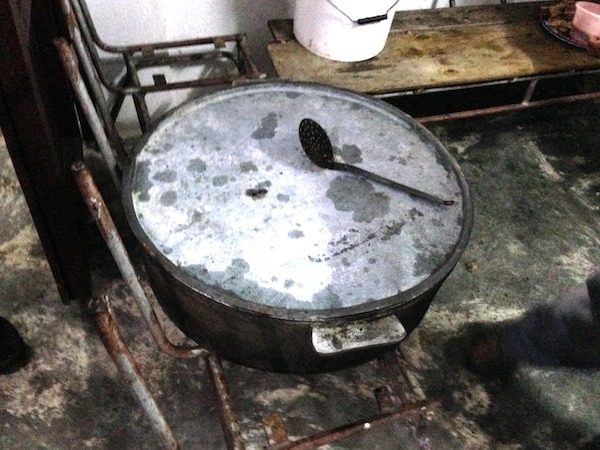 Even in Cuba, different parts of the country make the dish differently. And, of course, every person making it adds their own touches. So your tweaks are fitting in with a grand tradition. Terrific! Glad you enjoyed it. Wonderful! It is definitely a great family dish. So warm and comforting. Glad you enjoy making it for your family. For authentic Cuban food made by really happy Cubans, go to the Cuban city of Miami, Florida. We love the Little Havana area of Miami. So tasty & colorful! Just returned fro Cuba and the first thing I noticed is how young and old are glowing with good health! Is it the free health service or the unavailability of junk food? They are smiling constantly, perfectly turned out and carry themselves with pride. Long may it last! We also found the Cuban people so warm and welcoming. It’s wonderful to visit a country and find that the people are so hospitable. Of course, delicious food is something we enjoy too! It’s supposed to be made with olive oil, not vegetable oil. It also should include bacon. Unfortunately, these products which were quite cheap before the Castro regime, are now very expensive for most Cubans. Hopefully the new opening will eventually restore both freedom and Cuba’s cuisine. We are sure that the lovely Cubans we met do everything they cam to make their cuisine tasty and comforting even if not all traditional ingredients are readily available. It was our impression that Cubans are highly creative and resourceful, so we know that whatever comes out of their kitchens will be delicious! Looks delicious, will have to try it. Thanks for sharing! Sure thing! Let us know how it goes. We’re really looking forward to the day when Americans can visit Cuba freely without having to jump through so many hoops. We’ve developed a real love for rice and beans during our travels through Mexico and Central America but have yet to try cooking our own. We’ll have to try out your tempting recipe! Welcome! Thanks for stopping by. 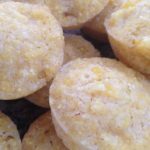 Give the recipe a try and let us know what you think. Enjoy! The food looks delicious and healthy too. I enjoyed watching the meal being made. I would love to be able to visit Cuba one day! I enjoyed watching the meal being made. It was delicious. The Cubans have such a passion for life and food. Glad you enjoyed it! Wonderful post! I do hope some day we’ll be able to visit Cuba. I enjoyed learning all about the food and the community! Thanks Marilyn! We’ll be writing more in the future. We loved learned about the Cuban culture first hand. One of these days, US citizens will be allowed to travel freely to Cuba. I visited Vietnam, Cambodia and Laos this year without a problem. I’d probably like Moros y Cristianos. I don’t like bananas which disqualifies a lot of Cuban cuisine for me—-mofongo—ugh. Hi Suzanne! 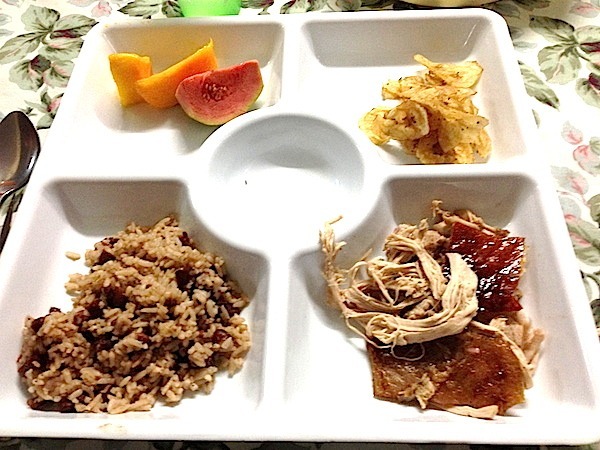 There’s plenty of other Cuban specialties that don’t include bananas or plantains. Be watching for more Cuban recipes soon! I really love Cuba. The scenery, beaches, music, people and history are all great. Love the Cuban rum and drinks. But unfortunately I was not enamoured at all with the food. Hi Doreen! The food is a bit tricky especially when traveling around Cuba. We found the home-made dishes to be the best. Must have been the extra love that went into the recipe. Hi Carole! Thanks for stopping by and sharing your recipe from Kauai, much appreciated. It is an experience you will not soon forget. The people we met were wonderful! Love this! 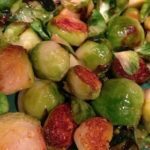 We love food, but frankly, we love the history of food even more. Thanks so much for sharing – we were hooked by the name of the dish (awesome)- and your photos wonderfully set the mood. Want to go to Cuba now! Thanks GypsyNesters! We love all the stories around food especially the history. Cuba is amazing the people are hard-working and resilient. The food is different from what you’ll find in most American Cuban restaurants but definitely worth the trip. See you at TBEX!